The Manitoba Water Council recently asked citizens for their "perspectives on wetlands". Manitoba Wildlands provided the Water Council with a set of public policy recommendations about our wetlands. Groundwater commonly refers to water beneath the surface of the earth which saturates the pores and fractures of sand, gravel, and rock formations. Groundwater is a major source of water for agricultural and industrial purposes, and is an important source of drinking water for many people around the world. Groundwater may occur close to the land surface, as in a wetland, or it may lie many hundreds of feet below the surface, as in some arid regions. Water at very shallow depths might be just a few hours old; at moderate depth, it may be hundreds of years old; and at great depth or after having flowed long distances from places of entry, water may be several thousands of years old. 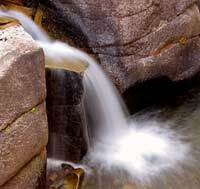 Groundwater is stored in, and moves slowly through, permeable rocks called aquifers. An aquifer is a geologic formation or group of formations which contains saturated permeable material that yield significant quantities of water to springs and wells. After the water requirements for plant and soil are satisfied, excess water infiltrates the water table–the top of the zone below soil and rocks. 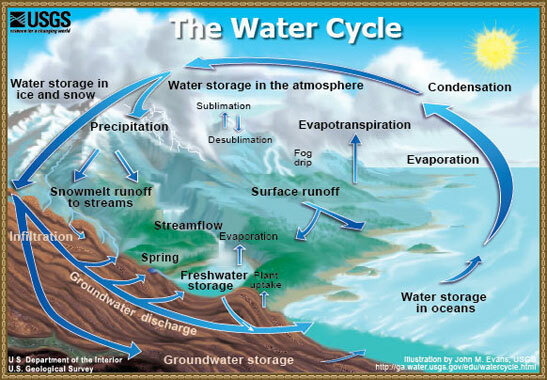 Below the water table, water moves through aquifers systems into streams, springs, or wells. Groundwater has been known to humans for thousands of years. Many ancient chronicles show that humans have long known that much water is contained underground, but it is only within recent decades that scientists and engineers have learned to estimate how much groundwater is stored underground and have begun to document its vast potential for use. 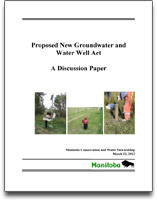 Manitoba Conservation & Water Stewardship has now shared the comments received in response to a discussion paper on the proposed Bill 25: The Groundwater and Water Well And Related Amendments Act. Manitoba Wildlands had previously been refused access to these documents, but MCWS indicated that this was in error. "We commend the Government on sharing this information, and we hope that this may be a sign of good things to come from our new Conservation Minister," said Manitoba Wildlands Director Gaile Whelan Enns. The new groundwater legislation received second reading in June 5, 2012. The Legislative Committee will report Monday, June 11, 2012. Any member of the public can register to speak to this, or any other piece of legislation, at Committee. If you are interested in presenting please call the Manitoba Legislative Clerk at (204) 945-3636. Or alternatively, register in person at 6:00 pm in Room 255 of the Manitoba Legislature. Comments were received from Manitoba Eco-Network Water Caucus, Keystone Agricultural Producers, the Association of Manitoba Municipalities, consultants AMEC Environment & Infrastructure, Concerned Residents of the Municipality of Springfield, and numerous private citizens. View May 18, 2012 Manitoba Wildlands Reality Check #35: Do Manitoba and Canada Have Public Consultation Standards? 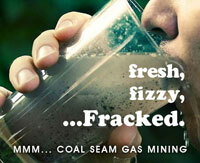 New Drinking Water Well Rules, Fracking Okay? Manitoba Conservation & Water Stewardship Minister Gord MackIntosh introduced The Groundwater And Water Well And Related Amendments Act to the Legislature May 15, 2012. The proposed Act "puts in place new protections for water wells, specifically looking at qualifications for well drillers as well as protections in terms of the drilling and sealing of wells, and as well, formally recognizes in legislation the important role of aquifer management planning," said MackIntosh. The new legislation will create a online groundwater well database, and will require new driller responsibilities and liability insurance requirements to protect landowners from uncontrolled flowing wells. Manitoba released a discussion paper on the proposed legislative changes in March and requested public comments online. Comments received have not been made public, and the discussion paper is no longer available on the Government of Manitoba webpage dedicated to the proposed New Groundwater Act and Strategy. Manitoba Wildlands contacted Government Officials to ask if a "What We Heard" document would be made public. We were told that this was an internal Government document at this time. We have now filed an information request to access this internal public comments document. "This Government needs to understand that simply putting a discussion paper up on a website is not consultation. The comments received need to be shared in an open and transparent manner, and greater efforts need to be made to engage the public," suggested Manitoba Wildlands Director Gaile Whelan Enns. Whelan Enns also pointed out that new act deals only with drinking water wells. Wells drilled under the Manitoba's Mines and Minerals Act and/or Oil and Gas Act are specifically excluded from the new well rules. In a recent Manitoba Wildlands Reality Check it was revealed that hydraulic fracturing, or fracking for short, is occurring in Southwestern Manitoba. "Fracking is one of the biggest current risks to the safety of our aquifers," said Gaile Whelans. "If this government wants to get serious about aquifer management planning, then it needs to address the impacts that fracking has on water quality." View Manitoba Wildlads Reality Check: Do Manitoba and Canada Have Public Consultation Standards? View Manitoba Wildlads Reality Check: Is Fracking Happening in Manitoba? Manitoba is seeking public input on a new Groundwater and Water Well Act, announced Conservation and Water Stewardship Minister Gord Mackintosh March 22, 2012. "The province's original legislation was proclaimed almost 50 years ago. While it has had updates since then, this new act would ensure the continued safety of our groundwater resources for the future," said Mackintosh. stronger compliance and enforcement measures. About 1,500 water wells are drilled in Manitoba each year. There are currently about 35,000 active water wells. A discussion paper and more information is available on Manitoba Conservation and Water Stewardship's website. Manitobans who are interested in providing input have until April 20 to make a submission. The Draft Southeast Regional Groundwater Management Plan (SRGMP) is a product of two years of planning and open houses information sessions through the SRGMP group. The 49 page document outlines information regarding groundwater resources in Southeast Manitoba, general goals and a broad outline for an aquifer systems plan within this region. Manitoba Wildlands, in addition to Ecological People in Action (EcoPIA) submitted comments on this document, highlighting need for access to information, including access to scientific and technical data, and more emphasis on climate change and sustainable development principles. One primary concern was the need for transparency on terms of reference for ground water plans, ensuring that updates follow evaluation. In early 2008, the Manitoba Government began re-designing the Conservation Districts program. A Conservation District (CD) is a group of neighboring rural municipalities (RMs) working in partnership with the Province of Manitoba to develop programs to effectively manage the water resources of their area. The Conservation District program involves member municipalities that appoint councilors and ratepayers who in turn elect a Board to manage the affairs of the CD. CD boundaries were originally based on administrative boundaries but are in the process of being adjusted to better reflect watershed boundaries. Currently, there are 18 Conservation Districts in Manitoba covering over 60% of Agro-Manitoba, all in municipal Manitoba. The public was invited to comment on a draft framework that includes proposed new objectives for the program and a new funding framework. The funding and creation of watershed management plans is one of the issues addressed in the CD Framework Discussion Document. Manitoba Wildlands submitted comments on the CD Framework Discussion Document for the March 7, 2008 deadline. In August of 2008, a committee from Manitoba Conservation Districts Association, the Association of Manitoba Municipalities and Manitoba Water Stewardship incorporated feedback from public comments into the Conservation Districts Program Framework for the Future, published May 2009. This document summarizes the vision, mandate and objectives for the future of the Conservation District Program. The Manitoba Water Council is an advisory board to co-ordinate and oversee the work of provincial water advisory bodies. An initiative under the Water Protection Act; Manitoba Water Stewardship Minister Christine Melnick announced the mandate and membership of the Manitoba Water Council March 15, 2007. The Council's mandate includes providing advice to government, stakeholders and the public on water-related issues such as drainage, and flood and drought protection policies and standards. The council will also monitor watershed management plans and review regulations related to water quality management zones. Former deputy premier, cabinet minister and professor of history (University of Manitoba), Jean Friesen, chairs the Council. Members include a member of Norway House First Nation, vice-president of Manitoba Conservation Districts Association, a Manitoba farmer, the executive director of Manitoba Eco Network, a research expert in wetland management and watershed management, and chairs of both Lake Winnipeg and Lake Manitoba Stewardship Boards. Manitoba Wildlands director Gaile Whelan Enns comments, "This Council will need to be transparent in its activity, and encourage public access to information for watershed planning in the province. We look forward to viewing the Council's online resources and records." In 1989, the Government of Manitoba began a process to develop water policies and in 1990, it released the document entitled Applying Manitoba's Water Policies. These policies were used again for the review that led to the Manitoba Water Strategy 2003. In April 2003, the Government of Manitoba released the Manitoba Water Strategy following a 2-year process led by a government-appointed Steering Committee and multi-stakeholder Advisory Committee. The process followed the release of the government-drafted October 2001 discussion paper entitled Water: A Proposed Strategic Plan for Manitoba. The Manitoba Water Strategy 2004 can be viewed by visiting the Water Branch website. Further information is available through the Manitoba public registry system (File No. 4705.00). Manitoba Wildlands has reviewed the documents in the lead-up to Manitoba's Water Strategy. In June 1999, the Manitoba Government released the Report of the Consultation on Sustainable Development Implementation (COSDI). Among other recommendations, the report calls for integrated large are planning based on watershed boundaries. The Government of Manitoba formally endorsed this report and adopted its recommendations as government policy in July 2000. The Manitoba Department of Water Stewardship was created in November 2003 and comprised of water-related sub departments/branches from Manitoba Conservation such as the Water Branch, the Office of Drinking Water, and the Fisheries Branch. Water-related entities such as the Manitoba Water Services Board, The Winnipeg Floodway Authority, and the Lake Winnipeg Stewardship Board are also part of this department. According to the Manitoba Government website, the Water Stewardship Department was created "to ensure that [Manitoba's] water resources are managed in a coordinated way that promotes sustainable economic development while protecting these vital resources for future generations." 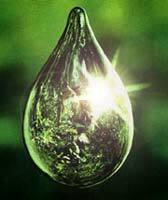 In March 2004, the department released draft legislation for the proposed Water Protection Act. Please see 'Water Quality & Protection' (below) for more information. Manitoba Wildlands is providing links to various public presentations made by Manitoba Water Stewardship staff and Minister, for research purposes. On April 20, 2000, the Government of Manitoba released a draft discussion paper in a new process to revise the existing Manitoba Surface Water Quality Objectives. The process aims to develop Manitoba Water Quality Standards, Objectives, and Guidelines. Following a round of public comments, the government released a second draft on February 1, 2001. Following a second round of public comments, the government released a Final Draft on November 22, 2002 and initiated a third round of public comments. The process remains at the Final Draft stage. Copies of each draft including public comments at each round can be viewed at any of the public registry locations (File No. 4519.00). In April 2000, the Government of Manitoba began a process to develop a Nutrient Management Strategy. Further information can be viewed at any of the public registry locations (File No. 4518.00). In March 2001, the Clean Environment Commission (CEC) was asked by the Minister of Conservation to recommend a public consultation process to ensure effective public input into the development of a Nutrient Management Strategy. A December 2001 trends report and a November 2002 technical report on nutrient management issues have also been produced by Manitoba Conservation. Public consultations and the development of a final Nutrient Management Strategy have yet to take place as of November 2004. In October 2000, the Government of Manitoba announced the start of a 3-year Assiniboine River Study. The study is ongoing. This is part of a decade long sequence of Assiniboine River Studies. In the winter of 1997, the Government of Manitoba initiated public consultations on drainage and issued a 1998 report entitled Land Drainage Review: Summary and Recommendations. In December 1998, the Government of Manitoba initiated public consultations on water use and allocation and issued a January 2000 report entitled Water Use and Allocation: Summary and Conclusions. In the year 2000, the Government of Manitoba enacted legislation banning bulk water removal from the province. On August 22, 2001, the Shoal Lake Watershed Working Group released a document entitled Shoal Lake Watershed Management Plan: Recommended Strategies & Actions for Maintaining Ecological Integrity & Environmental Quality, Sustaining Watershed Communities & Resources, and Guiding Future Development. Shoal Lake, located primarily in the traditional territories of a number of First Nations in Ontario, is the source of the City of Winnipeg's water supply. 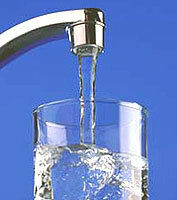 In 2002, the Government of Manitoba enacted the Drinking Water Safety Act and established the Office of Drinking Water. These measures followed the establishment of the Drinking Water Advisory Committee (June 2000) and a report recommending improvements in tracking and reporting to ensure the safety of Manitoba's drinking water supplies (November 2000). New regulations under the Drinking Water Safety Act came into effect March 1, 2007 that establish water-quality standards, including bacterial and microbial levels, to be met by public and semi-public water systems. Other areas covered by the new regulations include construction and alteration of water-supply facilities and protocols on reporting of laboratory results. The new regulations address the terms and conditions for operating a water-supply system and define responsibilities for water-system owners and operators The regulations also call for mandatory testing and record keeping for such water systems. The new regulations also require water utilities serving 1,000 or more people to issue an annual report for accountability to their customers. According to Minister of Water Stewardship, Christine Melnick, the Government of Manitoba, through the Drinking Water Safety Act regulations and other initiatives, has now addressed nearly all of the 29 recommendations of the November 2000 Drinking Water Advisory Committee report. 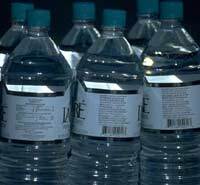 Boil orders for drinking water are frequent in Manitoba. 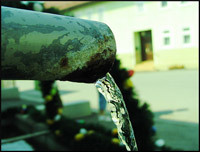 Spring run-off can affect wells. Inspection and reporting standards have been updated. Safe drinking water is often at risk for First Nation and Aboriginal communities in northern Manitoba. Often jurisdictional confusion between Indian and Northern Affairs Canada and Manitoba cause delays and risk to human health when water borne illness presents itself in these communities. The Manitoba Water Quality Handbook is a Department of Water Stewardship product written for cottage associations, river stewardship organizations, conservation districts, environmental organizations, waterfront residents, and other Manitobans interested in keeping our water clean. Throughout the handbook, What You Can Do boxes provide practical tips that individuals can put into practice in order to protect our water. Manitoba Water Stewardship publishes the Manitoba Water Directory. This is a listing of organizations with an interest in water stewardship. The Manitoba Water Stewardship recently introduced the new publication Clean Water. For me. For you. Forever. A hands-on guide to keeping Manitoba's water clean and healthy, otherwise known as the Clean Water Guide. According to the publication, the guide outlines practical things all citizens can do in their homes, yards, cottages and when camping, to preserve and protect Manitoba's water. It contains basic information, defining watersheds and water flows, riparian areas and outlines the importance of wetlands. It also describes the importance and various uses of water in our daily lives, as well as some of the threats to water that exist in our province. Two pages of the publication list actions that individual citizens can take to reduce water consumption and protect the quality of water.